Another new book coming out this April. was reading the description..."against overwhelming enemy numbers"? A bit much? I'd say mostly untrained, ill equipped, weakened by disease and hunger, hampered by lack of supplies, support and sufficient airpower. This in no way diminishes the gallant struggle put up by the defenders of Bataan, it is a disservice to them to have to resort to misinformation about numbers. I am nonetheless looking forward to reading it. Just got the book yesterday gives a lot of credit to Ramsey and his experiences. It's been on my Amazon wish list for a while. I hesitated ordering it because of this review (below). Please post any comments, reviews about the book whenever any of you guys finish the book. Thanks! This is a disappointing and fluffy book on the battles for Bataan and Corregidor in 1941-1942. One other reviewer claims that it is the "best" book on Bataan, but it would not even be in the top 20. The book only has one feature in it that might be at all redeeming, which is that it interviews some (American only) veterans of the Philippines battles. That's the sole reason this book got 2 stars from me instead of 1 star. Other than that, the book offers nothing to serious students of the campaign nor to general readers. The book is very thinly researched--amazingly thinly researched. Not only did the author not engage in archival research, but he did not even consult the reports and documents that have been collected and printed (with the exception of one quartermaster report he found on the Internet). However, there is much accessible material, much of it available in the volumes of the so-called Wainwright Papers (available in paperback). Most of these were after action reports of various kinds written by Wainwright's officers in captivity. The author used no Filipino sources, primary or secondary, even though there is much printed material on these battles from the Philippines, and most of it is in English. Even in his secondary research, the author managed to miss a number of essential works. For example, there are three key secondary works on Bataan that are collectively the starting point for anybody: Louis Morton's The Fall of the Philippines (the official U.S. Army history), Donald Young's The Battle of Bataan (recently re-published in an updated edition), and John Whitman's excellent Bataan: Our Last Ditch. Of these, the author managed to find only one--the Morton book. Similarly, there are many well-known memoirs that do not appear in the biliography, most notably Richard Mallonee's Battle for Bataan: An Eyewitness Account and Ernest Miller's Bataan Uncensored. The author also missed key unit histories, such as John Olson's Anywhere, Anytime: The History of the Fifty-Seventh Infantry (PS) or Ambrosia Pena's Bataan's Own (a history of the PC division). Basically, I have more books on Bataan on my own bookshelves than he consulted for the research for his book. That should tell you something right there--the research is not sufficient. And it shows in the text. Perhaps the worst aspect of the book is that it is so American-centric. 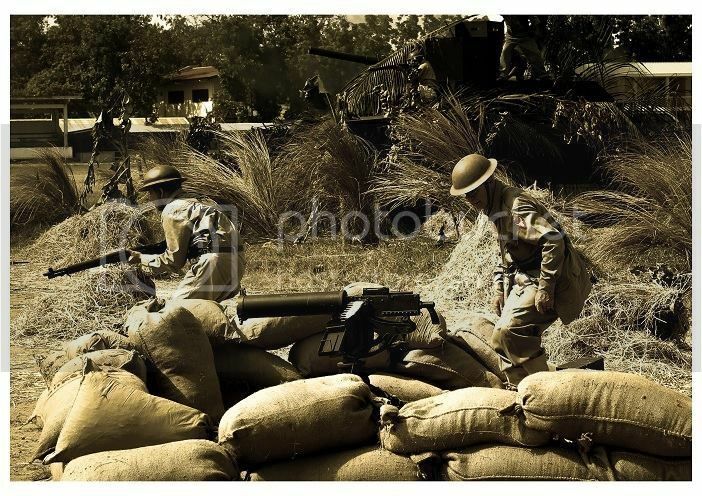 The Battle for Bataan was an ALLIED battle, and the Filipinos far outnumbered the Americans--and suffered more than the Americans, many of whom were in artillery or specialist units, or held back on Corregidor, rather than in front-line infantry units. Yet Filipinos, though they did the bulk of the fighting (under extreme conditions), are hardly even mentioned in this book. This error is incredibly egregious; America still owes a great debt to the Filipinos. I should note that only about 180 pages of the book is devoted to the Battle for Bataan and one more chapter to Corregidor. Over 100 pages is devoted to the post-Bataan years--basically stories of captivity. 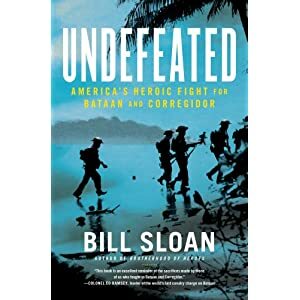 Once more, there is no mention of what happened to the Filipino defenders of Bataan after the surrender or their subsequent struggles (including starting a very successful guerrilla movement). So if you want a shallow and glib account of these tragic battles from a purely American perspective that ignores the vast majority of the actual combatants (Filipino and Japanese), well, this is for you. However, I would encourage most people to instead pick up a copy of the Donald Young and John Whitman books I mentioned above. They are far, far better than this. Even the blurb on the book at amazon states that the USAFFE troops were outnumbered by the Japanese. By what source did he come across this information? Thanks for the info. I almost bought the book. This book is not bad at all. While I didn’t buy the printed book because of that one Amazon negative review, I feel it is a little unfair to the author and the book. The reviewer probably was sold to it by publisher ads or claims saying that it’s the definitive book about the campaign yada yada yada. It’s not. Publishers are always sensationalizing to sell copies. However it is also the one other type of history centric book I like. It’s a recounting with many threads of individual people’s stories tied together with narration of the big picture situation. One can read about a campaign many times over and yet get something new from each book. In this case, the individuals that this book centered around were all relatively new to me so their stories were fresh. I listened to it on Audible, and “hearing” the book told instead of reading it gives it quite a bit of life. The desperation and urgency of situations were that much more real, that I daydreamed about wishing it were an epic mini-series movie. I agree there were almost no Filipino point of view. Although I think there was a little bit on Menandro Parazo. Anyway, not a bad book.